Liz has worked in the Middlebury area for over ten years. 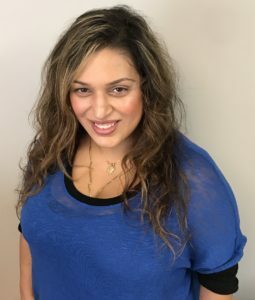 She is an expert on every type of hair coloring technique, a certified hair straightening expert, and was trained in the La-Brasilana Hair Straighten System, which is one of the best Keratin Treatments you will find here at the salon. The La-Brasilana Keratin Hair Straightening Treatment takes frizzy, unruly, damaged hair and transforms it to beautiful, healthy, shiny and manageable hair. Call Liz for a complementary consultation or if you have any questions about what the La-Brasilana Keratin Hair Straightening Treatment can do for your hair. In addition to attending the Paul Mitchell National Seminar in Las Vegas, she has attended and continues to attend numerous Hair Coloring, Hair Straightening, Haircutting, and Hairstyling classes and shows. Liz is passionate when it comes to providing her clients with the best hair products and services. You will find Liz at Allure on Tuesdays, Thursdays, Fridays and Saturdays creating beautiful hair color and highlights and taking frizzy hair to straight silky manageable hair. On her days off, Liz values and treasures the time she spends with her little boy and family. She is truly an all around AWESOME hairstylist, person and mom!